Press Release: Following the triumph at the Nürburgring-Nordschleife (DE) in May, Team BMW Motorsport is looking forward to the next highlight of the season on 12th and 13th June 2010: the Le Mans 24 Hours. BMW will line up at the endurance classic on the “Circuit de la Sarthe” with two BMW M3 GT2 racing cars specially adapted to comply with the GT2 regulations of the Automobile Club de l’Ouest (ACO). One of these is the 17th BMW Art Car, which was designed by Jeff Koons (US) and unveiled in Paris (FR) on Tuesday. We would like to give you a detailed look at the car that claimed BMW’s 19th victory at the Nürburgring and now looks set to cause a sensation in the LM GT2 class in Le Mans. Already in its fourth generation, the BMW M3, the high-performance sports car developed by BMW M GmbH on the basis of the BMW 3 Series Coupé, demonstrates impressive sportiness – regardless of whether the BMW M3 Coupé for road traffic, the BMW M3 GTS for club racing events, or the BMW M3 GT2 at endurance races and GT classics. BMW Motorsport Director Mario Theissen says: “The series model of the BMW M3 has sportiness in its genes. For this reason it was a natural progression for us to develop a racing version of this car. The fact that the BMW M3 production model is driven by a powerful V8 engine gave us the ideal starting basis.” When starting the development of the BMW M3 GT2 in the middle of 2007, the BMW Motorsport engineers were faced with the ambitious task of making a car that had already been designed for sportiness even more sporty. They could hardly have dreamt of a better basis for this mission than the BMW M3. The production model itself boasts powerful dynamics. The series version’s eight-cylinder engine with 4.0-litre capacity already produces 420 bhp. The BMW P65 engine, which was derived from this unit and powers the BMW M3 GT2, has been further improved within the GT2 regulations. The eight individual throttle valves receive their intake air via a system made of carbon fibre with load-charge optimised ram tubes. The mechanics have been adjusted to meet the extreme demands of GT and endurance racing: as a result, the BMW P65 has a steel crankshaft, forged skirt pistons, high-performance steel conrods and a dry sump lubrication system. This allows the engine to achieve 500 bhp. 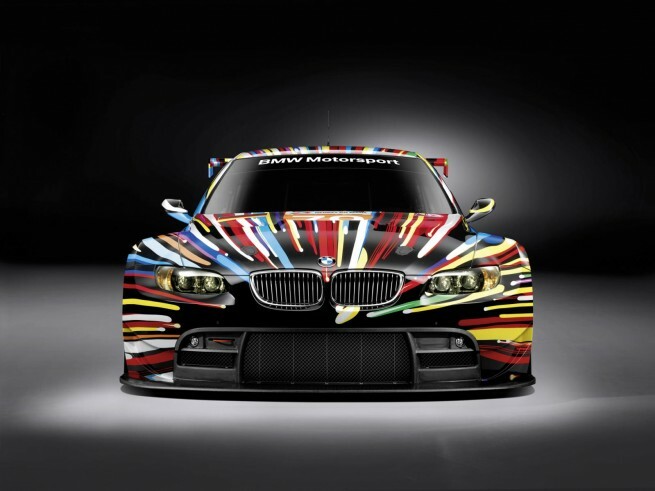 Due to this the BMW M3 GT2 is able to perform the sprint from 0 to 100 km/h in 3.42 seconds. With 500 ccm per cylinder and the stroke to bore ratio of 72.5 x 92 millimetres, the engine fulfils the ideal conception of demanding engine designers. The cylinder block is designed with a bed plate lower section and made of a special aluminium alloy. The unit’s dimensions, capacities, number of components and extremely light weight make it the perfect engine to use on the race track. Intelligent control systems are at work in the BMW M3 GT2. Via two bus systems, the POWER400 control unit actuates all the accessories fitted to the car, such as lights, wipers, etc. Traditional relays and fuses are thus eliminated, ensuring considerable weight saving, improved reliability and ease of application. The functions of the BMW P65 engine are managed by an ECU408 electronic control unit, developed in-house by BMW Motorsport. This unit uses two high-performance micro-processors to control the individual cylinder injection and ignition, as well as the engine data memory system, among other things. The ECU408 monitors the “Quick Shift” function of the six-speed sequential gearbox on the BMW M3 GT2, which suppresses the ignition when changing gear, thus allowing even faster gear changes. The compact transmission unit is positioned on the rear axle to allow optimal weight distribution. The engineers have not only modified the power train for use in races, but also the chassis. The front and rear axles on the BMW M3 GT2 have an increased wheel castor angle, enlarged track width and greater wheel camber than the series version. The shock absorbers can be adjusted five ways and tubular stabiliser bars can be used to set up the car for a specific track. Weight optimisation plays an important role for the development of a racing car. What has started with an intelligent lightweight construction and the use of a carbon fibre roof in the road model, the BMW Motorsport engineers consequently continued in the BMW M3 GT2. The use of high-tech carbon fibre reinforced plastics (CFRP) played a crucial role in the car achieving a weight of 1,245 kilograms (in ACO specification). As well as the roof of the BMW M3 GT2, the front and rear aprons, bonnet, boot lid, rocker panel, doors, front wing, and flared rear wheel arches are also made of carbon fibre. 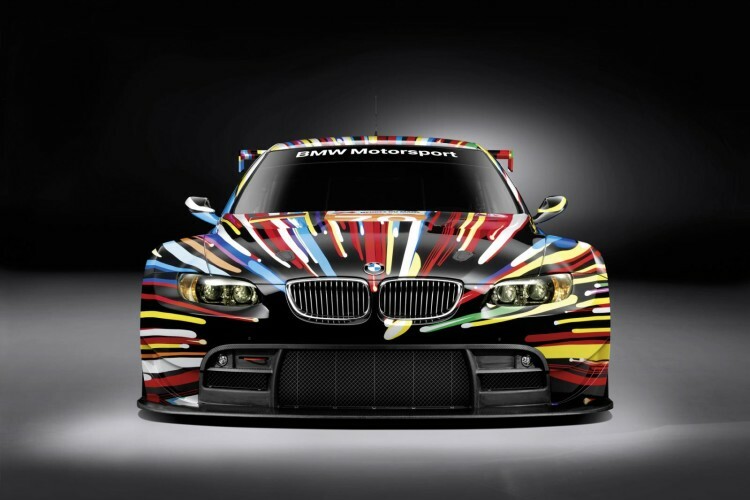 The aerodynamics of the BMW M3 GT2 were fine-tuned using computational fluid dynamics (CFD). It was also possible to optimise the geometry and kinematics of the chassis and determine the most efficient locations for attachment points on the axles. At the same time, elaborate calculation programmes also made it possible to simulate distortion of the chassis under extreme strain. Using extensive investigations in the wind tunnel, the engineers were able to verify the results of the CFD calculations before starting to build particular components. A hint of comfort is offered to the drivers by the air conditioning system, when they are at the wheel of the BMW M3 GT2. At the Le Mans 24-hour race regulations stipulate that temperatures in the cockpit must not exceed 32 degrees Celsius. Following a pit stop this figure needs to be reached again within eight minutes. In order to design the cooling as effectively as possible, the passenger compartment was limited by inserting a plastic screen behind the driver’s seat. This helps to minimise the cooling requirements. Only one aspect has had a higher priority for the BMW Motorsport engineers when developing the car than performance: driver safety. A safety cell made from extremely rigid, precision steel tubing is used in the BMW M3 GT2. This is welded into the unitary construction steel body and effectively protects the driver in the case of a collision. The development and design of the safety cell, which is produced by experts at the BMW Plant Regensburg, takes place using CAD constructions and computer-aided simulations. BMW Motorsport is certified by the FIA as a CAD institute for safety cells. On the track, the drivers are strapped into a new safety seat, developed by BMW Motorsport, using a six-point belt. In the case of an accident, seat and driver can be lifted out of the car through the roof. In addition, the drivers are protected by HANS (Head-and-Neck Support), energy-absorbing foam in hollow sections, and crash pads in the doors. While high-performance compound brakes ensure excellent deceleration in the BMW M3 Coupé, the brakes in the BMW M3 GT2 have a fixed-calliper design. The aluminium brake callipers consist of six pistons on the front wheels and four pistons on the rear wheels. The inner-vented grey-cast iron brake discs on the BMW M3 GT2 have a diameter of 378 mm at the front and 355 mm at the rear. As a development partner of BMW Motorsport, Dunlop equips the BMW M3 GT2 with high-performance racing tyres, which optimally transfer the acceleration and braking torque to the track and are able to withstand extreme lateral forces. The tyre manufacturer has been involved in the development of the GT sports car right from the word go. The BMW M3 GT2 takes to the track on 18-inch wheels with aluminium rims. Schedule Le Mans 24 Hours. Previous post Rumor: BMW X4 to show up in 2012?